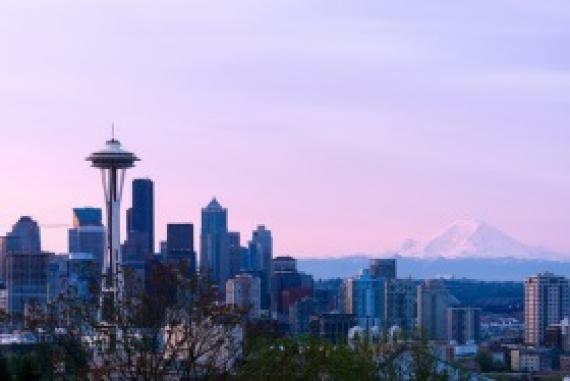 The 2015 IHT2 Health IT Summit began today in Seattle, WA. As is often the case, some of the attendees shared some information, insight and ideas via Twitter. This post contains what I thought were some of the interesting tweets. Special thanks to Paulo Machado (aka @pjmachado) and Andy De (@HITStrategy) for their copious tweets. @iht2 Welcome to Seattle! We're so happy to see you! Share your experience by using the hashtag! @hitstrategy “Why is demand in #healthcare a crisis while demand in any other industry an opportunity”? @hitstrategy Customers and Patients are drivers of change and empowerment in HC! @hitstrategy “Crawl, Walk, Run” with the flexibility to course correct will assure success vs. ‘big bang’! @pjmachado Full #healthcare data transparency & liquidity is critical & LONG way off for consumers & providers! Need policy & aligned incentives! @hitstrategy “Data should be freed from silos and pushed out to users; they should not have 2 struggle 2 pull data they need”! @pjmachado Amazing shift from data paucity to data abundance in the last decade! Can't improve what you can't measure! @hitstrategy Focus on the most critical use cases 4 #HealthAnalytics that will have impact rather than how 2 use #BigData the technology! @hitstrategy Managing the 4 Vs of #Big Data - Volume, Velocity, Variety and Veracity is easier said than done today in HC! @hitstrategy Physician Performance Transparency - ideal for #Patients, but are #Physicians ready 2 be score-carded +benchmarked?! @hitstrategy Is there a ‘Data Analytics Maturity Model’ that is being widely adopted today in HC? @hitstrategy “Data should be freed from silos incl. #EHRs and pushed out to users; they should not have 2 struggle 2 pull data they need”! @hitstrategy ‘Big Data Analytics’ is a voyage not a destination, with pitfalls and milestones on the way! @hitstrategy ‘Big Data Analytics’ is a journey of transformation 4 the persistent and not 4 the faint-at-heart! @hitstrategy Like HC, #BigData Analytics needs to be personalized for the user and deliver relevant and actionable insights! @hitstrategy #Healthcare #BigData #Analytics is all about the #Patient, stupid! @hitstrategy ‘Lack of a single platform with common data definitions+a single version of the truth’ with aligned incentives a huge challenge today! @hitstrategy Empowering doctors, clinicians and nurses at the point of care (POC) to impact outcomes is imperative! @hitstrategy Quality, Safety, Care Coordination, Cost - the 4 Pillars for 'Managing 2 Value’ in HC! @hitstrategy From Patient to #PopHealth Mgmt is the most significant paradigm shift in HC! @hitstrategy Data and insights need to be actionable, to be valuable for primary care physicians and smaller practices! @hitstrategy #BigData needs 2 be the ‘invisible enabler of #Healthanalytics innovation’ without getting in the way, IMHO! @hitstrategy “The right data in the right format in the right hands at the right time” securely, is the #HealthAnalytics opportunity! @hitstrategy #pophealth mgmt is arguably the biggest cultural shift in HC in this country in decades! @hitstrategy “Pop Health Mgmt will evolve from a conversation today to an ‘Outcomes centric Story’ in 5 years!” Are we positioned 2 make it happen? @hitstrategy Are Providers + Payers ready to evolve to ‘Payviders’ given the cost and efficiency pressure imposed by #ACOs? @hitstrategy #HACs are the third leading cause of Death in the US - 400 K Deaths per Year! @hitstrategy 80% of #HIT budgets today invested for infrastructure + maintenance and only 20% for new tech! Needs 2 be reversed, IMHO! @hitstrategy 50% of all the data in #EHRs is unstructured data that needs 2 be mashed up with structured data 4 meaningful insights! @pjmachado Ganz comparing Comcast customer experience model to #healthcare -tell consumers what they can have & do..